This training is intended for adults who work with Native youth. Participants who complete the training will be certified trainers in the Native Wellness Institutes, 10 lesson “Native Youth Leadership” curriculum. The training will be hands-on, experiential and participants will give presentations to display their knowledge and understanding of the curriculum. The curriculum is great for any youth program. Each person will receive a curriculum kit - curriculum, lanyard, name tag, and certificate. Youth Program Staff, Social Service and Tribal Health Staff, Education and Recreation Program Staff and others interested in working better with Native Youth. Jillene is an enrolled member of the Gros Ventre or Aaniiih people from Fort Belknap, Montana. She lives in Oregon with her life partner and children. 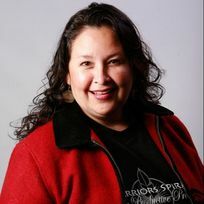 She is the Executive Director of the Native Wellness Institute and helped to found the national non-profit organization in 2000. She has a Bachelors of Science degree in Community Health Education and has served Indian Country for 30 years providing training and technical assistance in a variety of areas. Jillene has traveled to hundreds of Native communities and interacted with and learned from thousands of people. Whether she is providing youth leadership training, assisting women heal from childhood trauma or helping to bring wellness to the workplace, Jillene shares her passion for being positive, productive and proactive. She enjoys beading, reading, pow wowing and spending time with family and friends.